Technology around the world is building at a rapid pace and in order to evolve, we need to leave back the old stuff. In the same manner are mobile phones, started as a Radio Common Carrier (RCC) to bricks phones to the Motorola clamshells to the Nokia 6000 series, to the flip phones ( remember the Motorola Razr) and finally we’ve reached the era of smartphones. The vast amount of changes and evolution seen in smartphones is incomparable. The transformation from keypad mobile phones to touchscreen smartphones was revolutionary and once even considered to be state of the art. This was not the end but instead just the beginning. Smartphones became increasingly central to modern life, offering much more than just communication features. Now you can click pictures, surf the internet, watch movies, apps were launched, and the list keeps increasing and keeps getting better. Screen sizes continue to grow to maximise the experience of these features, with the iPhone 7 Plus display now 57% larger than the original iPhone from 2007. Throughout this revolutionary phase of smartphones, we’ve also let go of so many other mobile features like the keypad, the change in size and width of mobile phones, ditching the small screens for larger ones, the use of buttons, to giving up the black and white mobile phones for high-definition coloured screens for optimal web viewing. In the year 2016, Apple ditched the traditional 3.5mm headphone for the wireless ear pods and currently, it appears to be out of vogue now with most top-end smartphones ditching it. The upcoming OnePlus 6T too will come sans headphone jack. 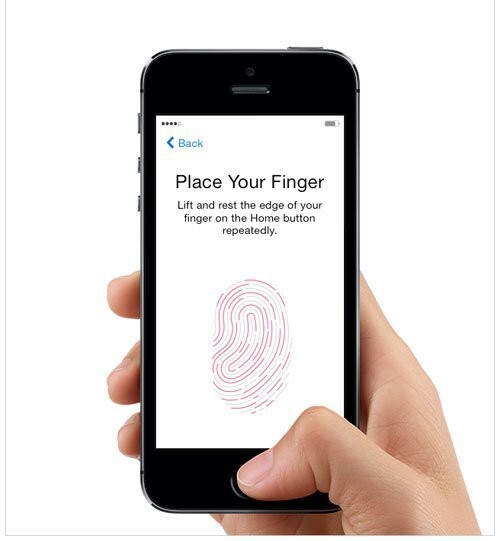 The fingerprint scanner may soon disappear from smartphones altogether. Apple in its new iPhones – XS, XS Max and XR, has not included a fingerprint scanner separately and has instead relied only on Face ID for security. Android players like Vivo and Oppo have included an in-display fingerprint scanner and upcoming top-end phones like OnePlus 6T, Samsung Galaxy S10 are expected to follow suit. With wireless charging slowly gaining prominence and cars offering wireless charging pads inside the cabin, there may soon be a time when charging cables and adapters are completely forgotten. There could be a future where people are not be required to carry mobile chargers at all and rely on public wireless pads. Smartphone brands could soon introduce a new multi-functional power/wake button in smartphones which may double up as volume button too. We may soon enter the era of foldable smartphones, with companies like Samsung, LG and Xiaomi said to be working on such flexible devices. The foldable phones mean goodbye to the traditional rectangular bar-shaped smartphones. It is a known fact that external microSD cards affect the performance of smartphones. So, with smartphone brands providing internal storage as high as 512GB, there is a possibility that the microSD card might be removed completely in the future. With Apple already providing dual-SIM support via eSIM in its latest 2018 iPhone lineup, it is very likely that the Android smartphone brands too jump on the bandwagon and ditch physical SIM completely. Also, though for now only Reliance Jio and Airtel support eSIM in India, it is likely that the other telecom companies to start offering the same in the coming months. The technology is already available in which the smartphone’s display can be used as a speaker itself. The classic example is the Vivo Nex in which the display emits sounds. In the future, there could be smartphones without separate speakers altogether. With in-display speaker, there is a possibility that you no longer need to hold your phone upright and put the earpiece on your ears while talking on the phone. Brands can look at launching smartphones without the earpiece altogether and with in-display speaker, you can place any part of the display to take calls and listen to the other person.